Electric hot water is expensive. We’ve installed low flow shower heads. We have a water efficient clothes washer. But after that we’re almost at the end of what we can do to save water heating energy through conservation. A quick, uncareful guess at our hot water consumption is about 50 gallons per day: 10 gallons each for 3 showers, 10 gallons every other day for the dishwasher, 10 gallons at the kitchen sink, a few gallons at the bathroom sink and a few gallons for laundry. Here comes the math… Raising that much water 70 degrees (from 50 degrees at the inlet to 120 degrees in the tank) takes 8.2 kWh/day. We pay 14.5 cents per kWh, so over the course of a month that’s $36. After we installed our heat pump water heater we more than cut that in half, but that’s a story for another post. It’s common that folks trying to save energy on their water heating will ask whether insulating the hot water pipes is a good idea. Losing heat through the pipes is like losing heat out of the house, right? So keeping the heat in the pipes will use less water heating fuel, right? My answer is “No” and here’s why. Hot water is stored in a tank. The tank is insulated, and unless you have a very old water heater, it’s probably insulated pretty well. Electric water heaters in particular can have great tank insulation. If your tank is enormous, has a plastic shell and is domed on top you’ve got good insulation. Gas water heaters tend to not have such good insulation. I do think it’s a good idea to insulate any water heater tank that came with fiberglass insulation. Do a good job detailing the tank wrap, and insulate the top of the tank too. With gas water heaters, adding tank insulation must be done carefully because there’s a fire inside the tank and you have to be careful not to block the combustion air intake or get too close to the flue pipe, which is hot and can catch your tank wrap on fire. One of Nik’s friends was nearly killed by carbon monoxide poisoning when the water heater tank insulation caught fire behind the wrap and smoldered just enough to make carbon monoxide but not enough to trigger the smoke detector. Insulate a gas tank knowledgeably and carefully or not at all. On the other hand, hot water is not stored in the pipes. Hot water goes in the pipes, and the hot water that gets left behind cools off eventually, but no fuel is burned keeping that water hot. Keeping the water in the pipes hot all the time would be nice. That way there would be hot water at the tap all the time. But don’t confuse instant hot water with energy conservation. In fact, the devices that ensure hot water at the tap are energy porkers. In hotels where you can have a shower hundreds of feet from the water heater, and in big houses where people just feel entitled to hot water at a moments notice, hot water is continuously circulated out of the tank through a pipe loop that goes on a tour of the sinks and showers. That uses pumping energy, and continuously refreshing the hot water in the pipes means continuous heat loss out of the pipes, which causes the water heater to use a lot of fuel keeping itself and the water in the pipes hot. In this case, yes it is a very good idea to insulate the pipes. But insulation is only helpful so long as the hot water in the pipes keeps getting refreshed, and besides, very few people need instant hot water so desperately they’d do this kind of boneheaded system in their house. Keep the tap turned to the cold side all the time. When there is a short water draw hot water is not drawn out of the water heater. 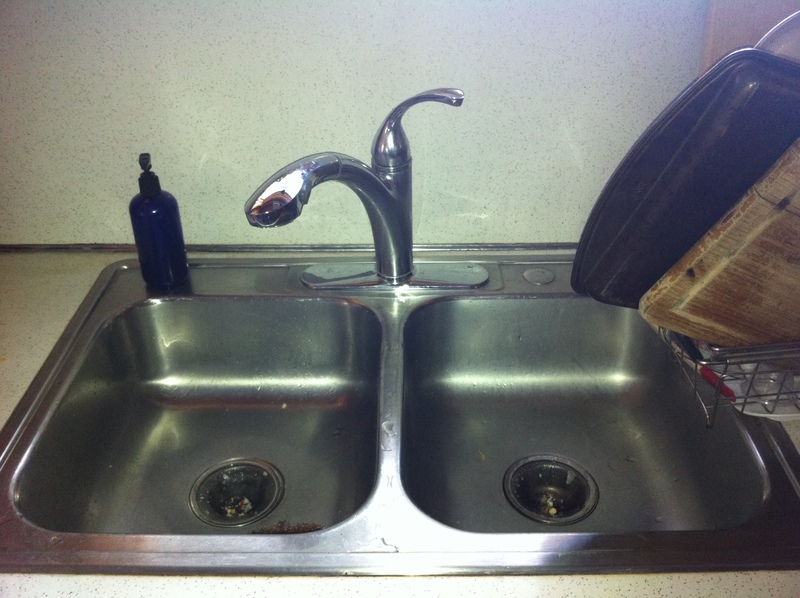 Most water draws are too short for the hot water to arrive at the sink. Don’t put hot water in the pipe for no reason. Losing heat out of the pipes is a bummer. It’s just wasteful and bothers me as a conservationist. Here’s the main thing I do to prevent hot water from sitting in the pipes and losing heat to the basement: I keep the hot water out of the pipe. In actuality, most of the water draws in the home are short: a quick hand wash, wetting a cloth, rinsing the crumbs off the cutting board, etc. In these cases no one, certainly not I, leaves the tap on long enough for hot water to get to the tap. If we used the hot water recently so the water in the pipe is still hot, perhaps we’re glad to have hot water for these little squirts. But usually we’re ok with cool water. If the tap is on the hot side when we draw a little bit of water a slug of hot water goes in the pipe even though we didn’t use hot water. An hour later, when we use another little bit of hot water, that water has cooled off but we don’t notice because we only run the water for a couple of seconds and we weren’t really expecting the hot water to get to the tap anyway. Another slug of hot water gets introduced into the pipe. Having insulation on the pipes would not change this one bit. The water in the pipe will cool off whether or not it’s insulated, and usually we don’t use the hot water soon enough to prevent this. 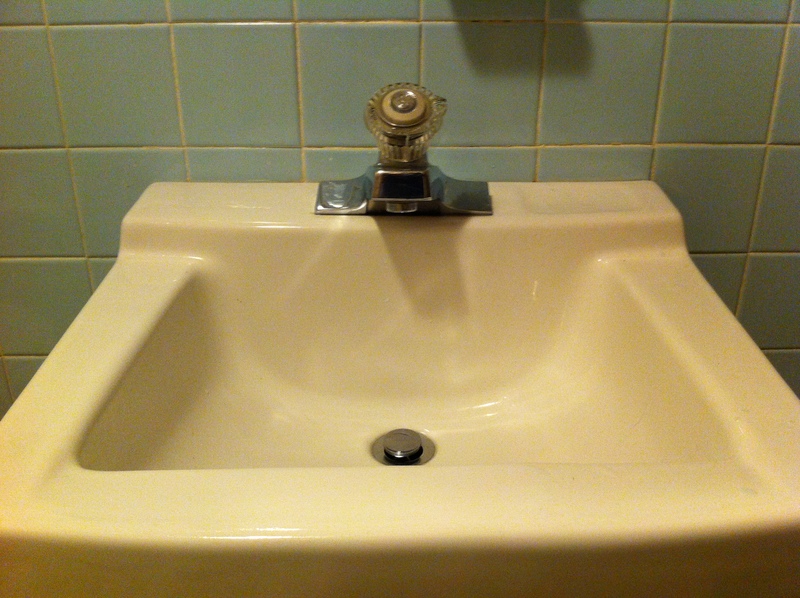 The solution: keep the taps turned over to the cold side. 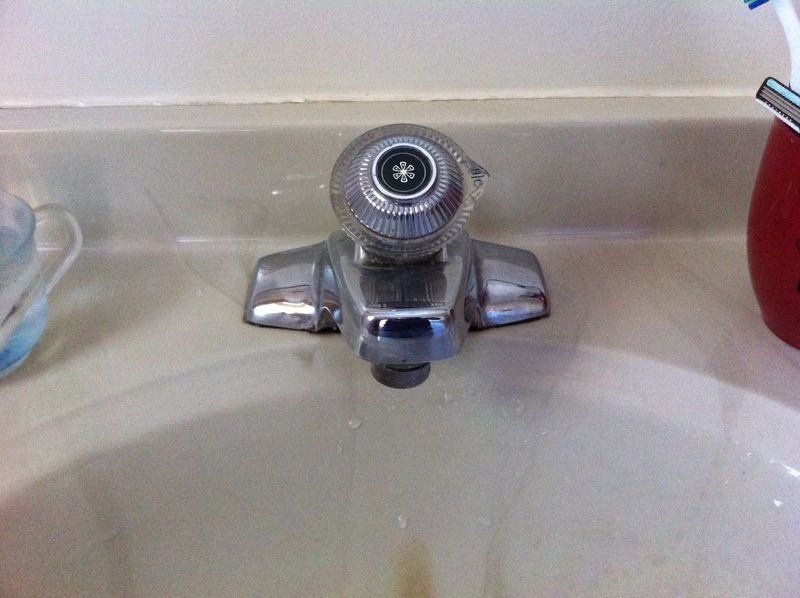 I keep all the taps in the house on the cold side unless I’m at the sink for a long time doing something that needs hot water, like washing dishes or taking a shower. I don’t wait for the hot water to get to the tap. When I need hot water, I use it; when I don’t need hot water I don’t unintentionally fill the pipe with hot water. The amount of hot water that is left behind in the pipe when you use hot water is a function of how big the pipe is and how far it is from the water heater to the tap. In new construction there are codes that limit how big the pipe can be. I think this is actually for water conservation (since a lot of water just goes down the drain while you’re waiting for the hot water to arrive) rather than energy conservation, but it’s good for both. In addition to correctly sizing the pipe, the pipe layout can be configured for low water volume between the tank and the tap. And finally, when designing a house the bathrooms and kitchen can be located back-to-back and on top of one another, with the water tank immediately below, thus keeping all hot water pipes short. If you should ever have to replace any of your hot water pipes, consider including one of these strategies for saving water and water-heating energy. Since a water heater is replaced many times in the life of a house, that’s a great time to incorporate efficiency upgrades. And to wrap it all up, back to the pipe insulation… There is one part of the hot water pipes that should always be insulated. Hot water in the tank often floats into the pipes when hot water isn’t being used. This is a result of poor design in American water heaters. With the pipes attached to the top of the tank, hot water in the tank moves up into the pipes by thermosiphon. Some tanks have a doodad called a heat trap that prevents this, but some tanks don’t and anyway I think the heat traps might not always work. Thermosiphoning is a pretty weak force and generally doesn’t move hot water past the first elbow in the pipe. Insulate the pipe ON BOTH THE HOT AND COLD SIDE within a couple of feet of the tank. Detail the pipe insulation carefully around fittings and elbows; tape the insulation in place if it isn’t the kind that has adhesive on the meeting edges. Be careful with gas water heaters: sometimes the pipes are right next to the flue pipe and any insulation would be exposed to extremely high temperatures (don’t insulate in this situation). Remember, this is to prevent your water heater from wasting energy, not to give you instant hot water at the tap. If that’s what you want, look for a future post on demand recirculators. If you really want to insulate your pipes, go for it. But do it knowing that it won’t prevent frozen pipes and it won’t save energy. Good to know. I like the idea about keeping the tap turned to cold. Very smart. What about on-demand hot water heaters that are close to the tap. Are they more efficient than tanks? An on demand water heater very close to the sink would fix the problem of the pipe getting filled with hot water, and then losing all that energy between hot water draws, but only for that sink. Some homes are ripe for plumbing renovations that are easy and save a lot of energy and water. I just read about a house where they laid out the pipes differently from the water heater to the sinks, and greatly shortened the wait for hot water (while reducing the problem noted above). And some homes can stand to have the water heating tank moved closer to the sinks, again shortening the wait for hot water and reducing standby heat loss. But the benefit from these types of changes are very specific to the house. If your tank is already close to the sinks, or your sinks are spread all over the house, moving the tank isn’t going to help. If you have 3/4″ pipe everywhere, you can save a lot of water, reduce hot water wait time and save water heating energy by replacing the pipes with 1/2″. But only if you started out with the 3/4″. Good point, never looked at it that way. Great to read articles like this. Keep in mind the heat in your pipes does often enter into your house, so if your house is in heating mode, then you are really not losing heat, or energy — neither created or destroyed. So heating your pipes and radiating that into the house may be a good compliment to GFA heating, which often requires humidification. In the summer, the radiation actually can work against your cooling so insulation would be helpful in that case. With all of that said, it’s a very small amount. Handing gaps in your band joist and around doors, windows, and fireplaces will actually give you more bang for the buck. Thanks for explaining why you shouldn’t insulate hot water pumps. I knew that insulation can help keep pipes warm, but I didn’t realize that this slows heat transfer, and you should insulate the tank instead. Seems like good knowledge to know if you live in a climate where the weather can change constantly from warm to freezing temperatures. I think you are missing a very key point in the reason for insulating hot water pipes,which is the loss between the heater and the point of use. I lose 3degF from the heater to the furthest shower, based you your calculations that is almost 5% of your rise; adding and estimated $1.80 on your $36 monthly bill. The way that pipe insulation could save energy by keeping water warmer at the tap is by allowing you to turn down your water heater because you’re not trying to overheat the water to compensate for heat loss between the tank and the tap. However, I think most people do not manage tank temperature that carefully. If water arrived in your bathroom 3 degrees warmer than it does now would you turn down your tank 3 degrees? I might, because I keep my tank as cool as I can yet still have a comfortable shower. But I think we’ve already established that Nik and I are a little out of the mainstream when it comes to home energy. The other way that insulating a long pipe run could save energy (actually, will save energy) is by allowing you to mix more cold water into the shower, thereby reducing the volume of hot water taken out of the tank. This only works for showers though because none of us manage the temperature of hot water that closely in non-shower uses. And finally, these long pipe runs through cold spaces are exactly why it’s really important to not let the pipe fill up with hot water when you don’t really need the hot water and/or have no intention of waiting for the hot water to get to the tap. So, in the end saving water heating energy is still about habits more than pipe wrap. Thanks for tuning in. Looking forward to more interesting comments. I have a Nat. Gas hot water heater. my hot water pipe is constantly HOT, also my cold water pipe gets hot from the heat rising process. When working in the area I commonly get minor burns. Not serious but a bit painful for a day or so. Also most new houses in The U.S. now have Poly Water lines so there isn’t any rust. The insulation shouldn’t be a problem. Hi, thanks for your comment. I do address the issue you raise: hot water in the pipes above the tank. The last part of the post describes this situation as “thermosiphoning”, and it is the one circumstance in which you do want to insulate the pipes. Read the post and you’ll see that 1) condensation is not an issue I am concerned with nor address, and 2) hot water that rises into the pipes even when you’re not using hot water is a big energy waster and definitely deserves insulation. its different with boiler central heating, which i know you were not discussing here, but in a recirculating system like that, heat losses are significant. plus even with normal hot water, as Brad said above, if you have a long run, and especially if your in a cold climate, then insulation will be beneficial.